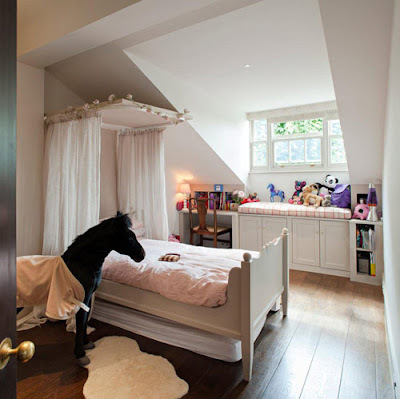 For all that, it is important to take into account the addictions and interests of the kid himself, not to be tempted to design the rooms for separation into boys and girls and take into account the nuances of a particular space - its size, shape, number of windows and location relative to the sides of the world. 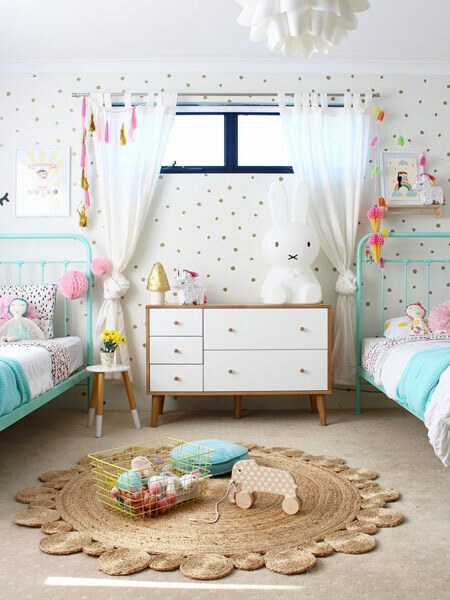 In this publication, we would like to understand the design options for a girl room. Learn about what to choose a color palette and design theme, how to find the best option for the location of furniture in a small room, how to take into account the age, interests and characteristics of a small lady and at the same time not to ruin the family budget will help us an impressive selection of modern design projects created by specialists in different corners of our planet. 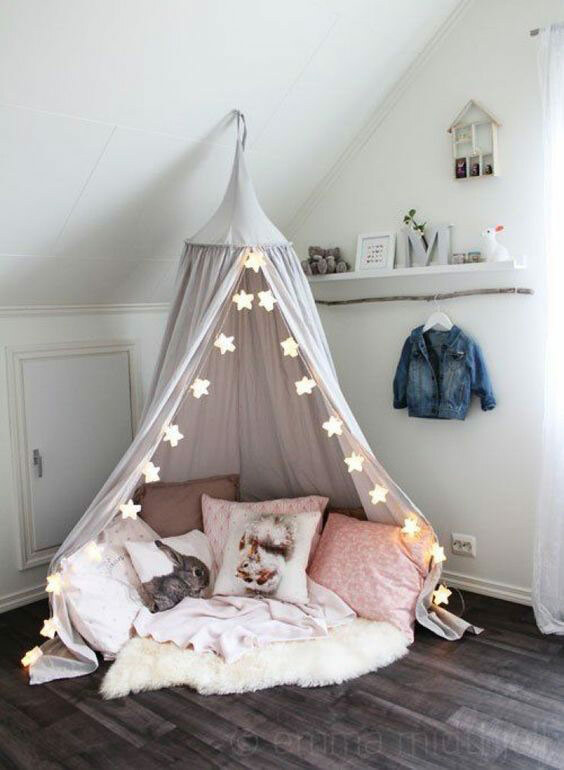 We hope that more than one hundred original, practical and cozy image of the girl's room will help you to make a plan for decorating the room and for your princess. kids grow their preferences, interests, and needs change so fast that parents can only keep track of the metamorphoses taking place with their kid. Of course, age will be the main criterion for choosing a design for a girl, because for each age group of girls are characterized by their attachments, abilities and skills, the level of independence. interests of the kid, his hobbies. style design of an apartment or a private house. 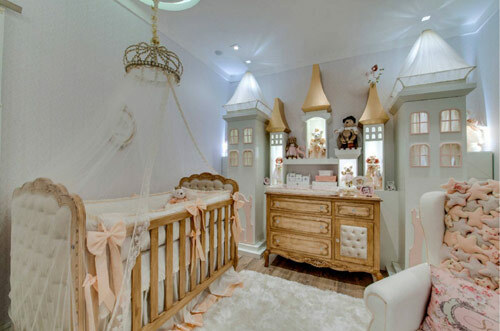 In the room of a baby up to 1 year, the decoration is mostly due to the addictions of the parents. The baby still does not care about the picture on the wallpaper or the design of the furniture, the main thing is a pleasant microclimate in a bright room, not overloaded with details (less decoration - less dust). Experts recommend creating a basic repair, which will then be easy to decorate for a girl who has already learned to walk and seeks in every possible way to know the world around her. Light, pastel shades for wall decoration - ideal for creating a background on which you can later apply artistic painting, drawings with stencils or paste stickers with the characters of your favorite fairy tales, cartoons. Creating the design of a room for an infant, you lay the base for the next 3-4 years. The choice of materials that are safe for people and the environment for finishing and as a raw material for the production of furniture and other interior items is obvious. 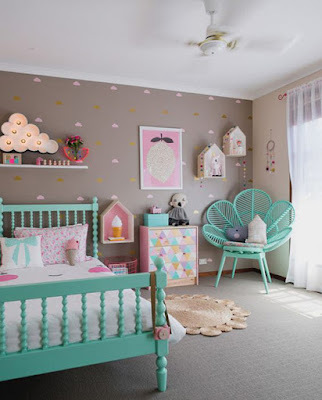 In order to continue to implement a few changes as possible, consider at the initial stage that the baby cot needs to be changed to a larger size, you need a place to set the table (for games, creativity, occupations), and a small dresser (also a changing table) will replace or add to it a wardrobe for the wardrobe. A shelf or any other storage system for toys can be installed from the very beginning, by planning a permanent increase in items for games, sports equipment, and books. In the girl's room design from a year to about 4 years, most of the space in the room should be given to the zone for games. In addition to sleeping and storage systems, you need a small space for creativity - it can be a compact table set at the window or a small console, which can later be moved. Each functional segment should be optimally lighting- it is not possible to limit one light source even in the smallest rooms. In the nursery, which is a small world for a girl 5-6 years of age or older, most of the space in the room is still reserved for games. But parallel to the segment for games and creativity there is a zone with a workplace. It is better to prepare for school at a full desk (preferably with a height adjustment of the table top - so the furniture will "grow" with the kid) with a comfortable chair (with seat height adjustment, backrest inclination). In the preschool room, the design of the interior is a joint action of the parents and the kid. The age of the little girl already allows her to consciously talk about her favorite colors, themes of design (heroes of fairy tales, books, comics), hobbies and passions. 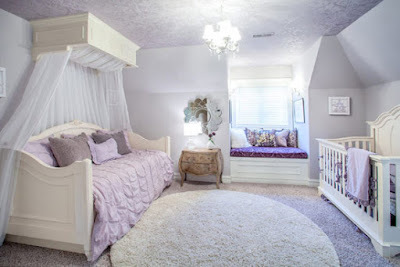 If the kid does not care to go to the base for finishing materials, then the baby will be able to choose furniture models on the Internet or in the store, most likely she will want to participate in the process of choosing the textile design of the room bed linen and bedspreads, draperies for windows, carpet. 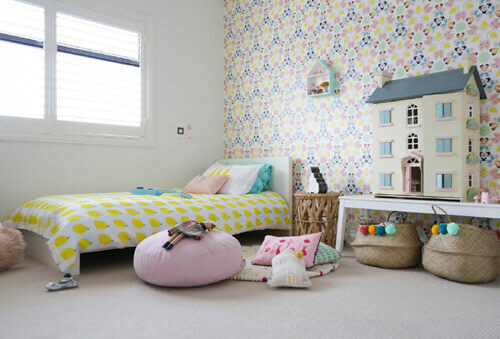 In the room of a teenage girl, drawing up a design becomes not just a joint activity of the parents and the kid, but quite often goes completely into the care of the growing designer. In adolescence, girls need to show their independence, to personally engage in the arrangement of a secluded corner for the opportunity to be alone. Therefore, parents need to have patience and listen to all suggestions for the design of the girl's room. After all, only the girl herself knows how she wants to see her little world, her universe, enclosed in a few square meters. We will find a compromise because modern stores offer us a wide range of finishing materials, furniture solutions, lighting devices and textiles for sleeping and draping of windows. In the teenager's room, a special bias should be made to expand the sleeper and "strengthen" the working segment environment. During puberty, adolescents often experience a jump in growth - furniture should have a reserve for such cases, it is better to buy a bed "for growth", and a chair for a written and computer table with the possibility to adjust the height of the seat and backrest. Toys in the teen's room usually no longer remain (if only collectibles), so all storage systems in the form of shelves and regular shelves are allocated for books, stationery. 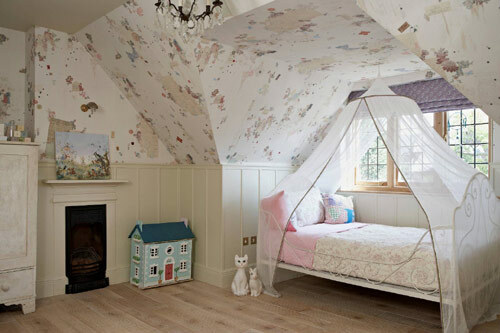 Fatigued to the majority of parents 50 shades of pink, which often have to put up in a kid's wardrobe, plan to move and in the design of the girl's room. And it's not the stereotypes of dividing everything that rocks girls into pink, and boys to blue. Most girls really like pink color and they ask parents to use it in the design of their secluded place - the rooms where they rest, play, get to know the world, are engaged in creativity and sports. In addition, the pink has a lot of shades, among which for certain you will be able to find "your", suitable for the role of the main background tone. What colors are best for combining pink color and its shades? There is no universal council, much depends on the size of the room, its shape, layout, an intensity of natural light and the result that the small landlady and her parents would like to receive. The combination of pink with white greetings to create a gentle and easy image of the room. Add to this alliance can be a gray tone or a surface of the light wood. Experts do not recommend more than three colors (or their shades). And a little more about the gray tone, as one of the main color solutions for the girl's room ideas. Only at first glance, it may seem that any shade of gray in the room for a girl is boredom. This neutral color in all respects is perfectly combined with white and one more rich tone. Three primary colors, two of which contribute to the visual expansion of space (white and light gray) and the creation of a calm, pacifying atmosphere - an excellent choice for the nursery. As the third color, in this case, you can use a pink favorite or a more saturated tone - crimson, blue or turquoise, purple, lilac and even orange. The main thing is a reasonable dosage of bright tone. White color and its shades as the main tone of the finish - an excellent opportunity to create an easy and clean image. If we are talking about small rooms, and even with complex geometry, sins in the layout or architecture, then white color often becomes the only winning option for decorating walls and ceiling. Especially since on a white background any furniture and decor will look great. On the combinatorics of colors cannot be thought of the white tone is combined with any color solutions. The beige color is another of the universal options that can become not only an excellent option for the basic color solution but also visually "warm up" the interior, bring softness and comfort, lightness and freshness to the atmosphere. Beige has a lot of shades, but for the decoration of walls in the girl's cup, only pastel, warm shades are used. In combination with white and soft pink, beige is able to create surprisingly light and incredibly "home" images. 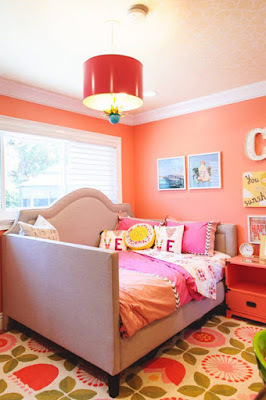 A similar effect can be achieved when using peach color as the main solution to the palette of a kid's room for a girl. 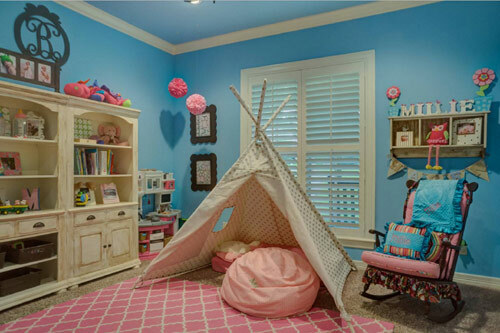 If you and the kid like the different shades of blue, then safely discard the stereotypes and use them as the primary or additional (to a light tone) color solution for finishing the room. Gently-blue shades look great both as the main tone of finishing all the walls, and to create an accent surface (if the rest are decorated in white, for example). 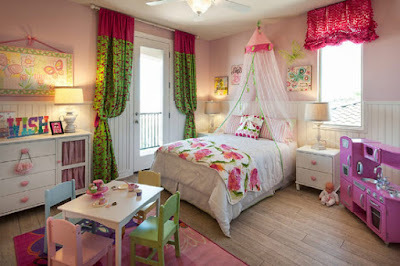 Colorists say that most shades of green can be used as the primary color of the decoration in the girl's room bedroom. Color adjusts to positive, awakens creativity and is able to soothe hyperactive kids. Only with a shade, it is necessary to be defined correctly. The greener the impurities of the blue tone, the shade will be cooler, the more yellow - the warmer. Choose olive, light pistachio tones for rooms located on the north side of the building. Contrasting combinations in the girl's room? Why not! If you want to emphasize the geometry of the room, highlight this or that functional segment and bring dynamism to the image of the kid, the alternation of light and dark surfaces for this ideal. Often dark spots in the interior of the girl's room are black magnetic boards, on which you can draw with crayons, fasten drawings, photos and other results of creativity. In the girl's room design where the sisters live, the main problem of choice is not the color palette or furniture models, but the correct, rational and ergonomic distribution of space. Create an environment in which it would be convenient to relax, play, learn, engage in creativity and favorite business at once to two princesses is not easy. The task becomes more complicated if the room is small, and the girls have a big age difference and as a result - different interests, preferences and even a way of life. But you can always find a compromise, the only question is that you will have to spend more time and, possibly, a budget for altering the room or full repair. 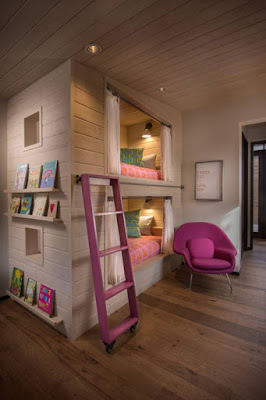 A bunk bed is an excellent solution for saving space in a small room that is shared by two girls. 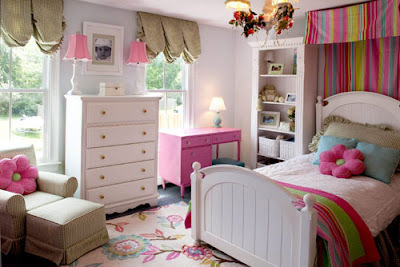 This approach in the organization of beds is perfect for small princesses with a small difference in age (and hence growth). As a result of the installation of a bed with two tiers of berths, the space for active games is released, jobs with storage systems are installed. But not for all sisters is the option of using two-tier structures. If the area of the room allows, the installation of beds in parallel to each other in such a way that the approach to sleeping places was on all sides, can be considered ideal. In such a situation, you can set a bedside table or a table-stand for each bed. If the quadrature of the room is modest, then the beds are set on the walls, and between them is placed a curbstone or a small chest of drawers. But, at least, to organize a light source at every head of the bed is necessary. 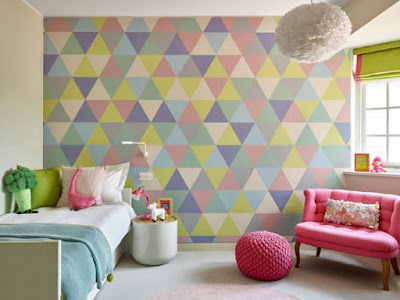 Decoration, which is often preferred to neglect adult boys, is simply necessary for the girl's room bedroom. After all, it's the lovely details that make the interior not just modern, stylish, beautiful, but nice and cozy. Ruches on curtains, lace on bed linens, paintings, and photos on the walls, drawings, pictures of favorite heroes on all possible surfaces. We offer you several ideas for decorating a girl room, many of which carry not only an aesthetic load but also are functional interior items.